WordCamps are conferences dedicated to the software Shiny 9 uses to build our sites. There are dozens of these conferences throughout the year worldwide – currently 48 countries and 6 continents. (Apparently we can’t get WordPress developers to move to Antarctica.) More details can be found on WordCamp’s central site. These conferences are great ways for us to keep our skills fresh and to stay abreast of the newest technologies. However, they’re also a great way for us to give back to the developer and business community. 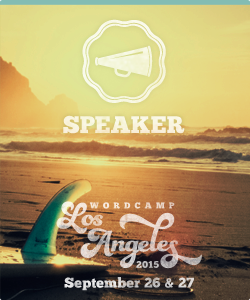 By sponsoring and speaking at WordCamps, we help ensure the continued success of the software and of our peers. Shiny 9 is a proud sponsor of WordCamp Las Vegas 2014. You can see the site we built for the organization at the Vegas WordCamp page.